Sally Carmichael is a Movement Therapist, Franklin Practitioner And KYTA-registered Kundalini yoga teacher. She teaches at her studio in Surrey, in centres and clinics in London and runs workshop and retreat programmes nationally and internationally. 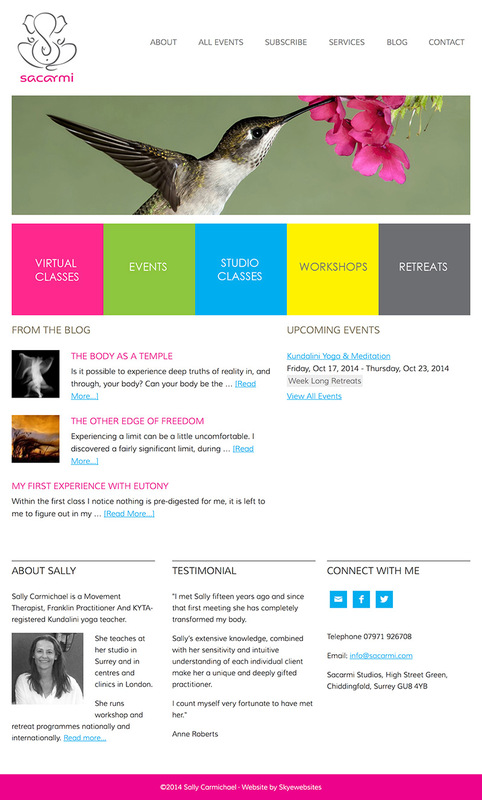 We created a highly visual and easy to navigate website to showcase events, classes, workshops and retreats that Sacarmi offers. In addition the new website features email subscription signup and a blog.